"We at Reyes Kenpo Karate regret to inform you that Grand Master Lee Hart passed away on Sunday May 13th. GM Lee Hart was a long time, loyal student and instructor of Reyes Kenpo Karate KAJUKENBO. He started his training with Reyes Kenpo Karate at the Suisun Self-Defense Institute location in the early 1960's. GM Hart was the fourth Reyes Kenpo Karate student to receive his Black Belt from Great Grand Master Aleju Reyes in 1970. He trained under GGM Aleju Reyes until his untimely passing in 1977. GM Hart continued his martial arts training and instruction by heading the Napa School Branch of Reyes Kenpo Karate and reaching the rank of 9th degree, promoted to him by Senior Grand Master Alan Reyes. GM Hart served in Law Enforcement for most of his career and also instructed fellow officers and cadets in tactical side handle baton techniques. 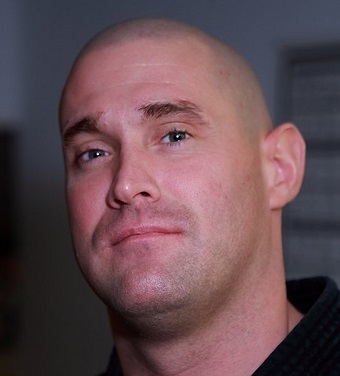 GM Lee Hart's entire martial arts career was devoted to Reyes Kenpo Karate and its lineage. We at Reyes Kenpo Karate salute Grand Master Lee Hart. He will truly be missed. On behalf of CQB Kajukenbo Club, you have our condolences.